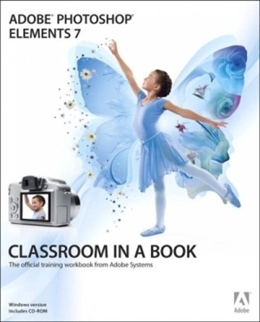 Adobe Photoshop Elements 7 Classroom in a Book is the most thorough and comprehensive way for new users to master all the new features in Adobe's consumer-targeted image editing software. Each chapter in this step-by-step, project-based guide contains a project that builds on the reader's growing knowledge of the program, while end-of-chapter review questions reinforce each lesson. Readers will learn the basics of editing their images with Photoshop Elements and will learn how best to use the program's many new features. These new features include applying incredible effects to your images with the new Smart Brush tool, fixing photos with one-step shortcuts, removing unwanted elements from your images with Adobe Photomerge Scene Cleaner, enhanced support for raw files, step-by-step assistance, sharing your photos in new rich, interactive Online Albums and more.